The Yale Club of London invited you to join alumni from a range of US colleges in celebrating Fourth of July and the 40th anniversary of the Golden Hinde II's voyage to San Francisco. 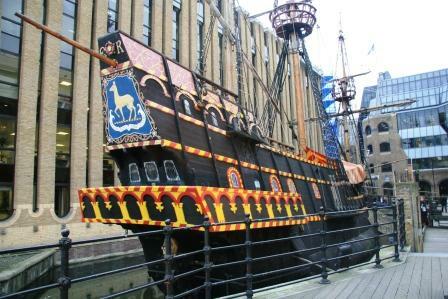 The Golden Hinde is an Elizabethan galleon on which Sir Francis Drake, the Elizabethan explorer, circumnavigated the world from 1577 - 1580. This event will celebrate the connected history between one of the UK's most celebrated explorer with the US on a patriotic evening. For any questions, please contact James Ford on james.ford@aya.yale.edu.